Growing up, Baywatch was such an iconic show. Who doesn’t remember David Hasselhoff running down the beach to that incredible theme song? So imagine our excitement when we found out that there was going to be a Baywatch movie! Initially, we wanted to do some sort of beachy cocktail. We changed our mind due to a few other projects we have for cocktails. We decided to do some sort of dip because red peppers make awesome Lifeguard Rescue Cans. Thus, we decided on ceviche. 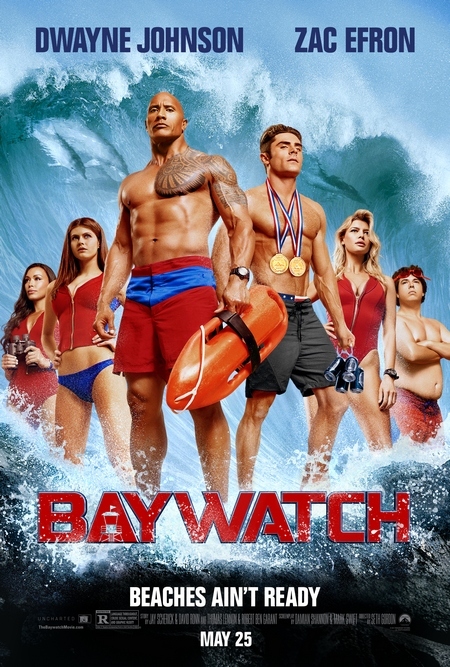 Baywatch follows devoted lifeguard Mitch Buchannon (Johnson) as he butts heads with a brash new recruit (Efron). Together, they uncover a local criminal plot that threatens the future of the Bay. The film stars Dwayne Johnson, Zac Efron, Priyanka Chopra, Alexandra Daddario, Jon Bass, Kelly Rohrbach, and Ilfenesh Hadera. 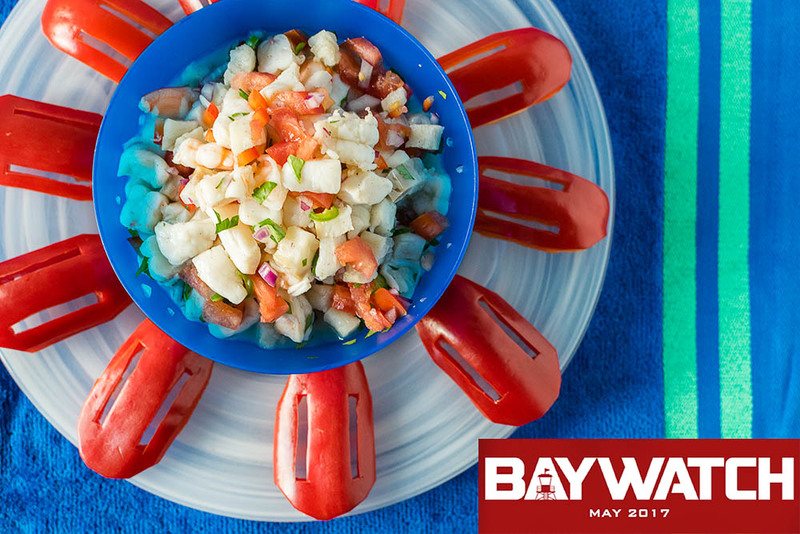 Our ceviche pays tribute to the Florida setting of Baywatch. While the original show took place in Los Angeles, the move to Florida meant a whole new slew of flavors. The Cuban Style Ceviche takes its inspiration from the Cuban influence in Florida. As we mentioned before, we also loved the idea of cutting out Rescue Cans from red peppers. 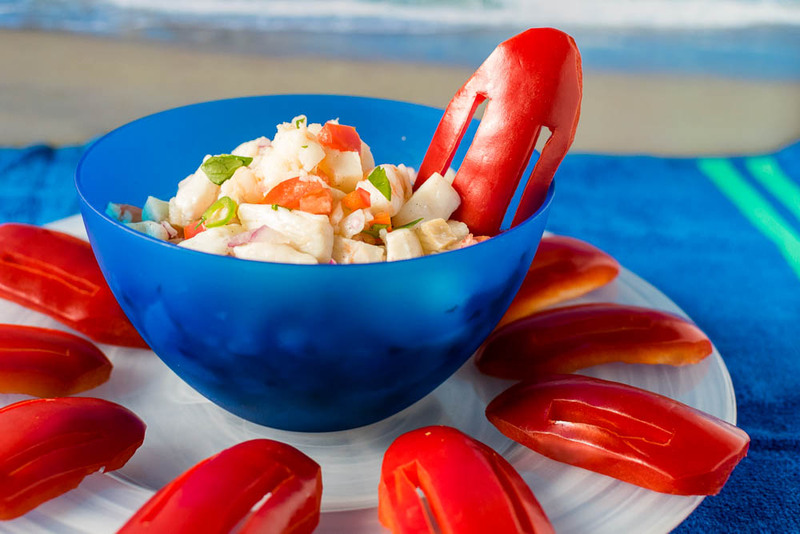 Our Cuban Style Ceviche will be a hit this summer! 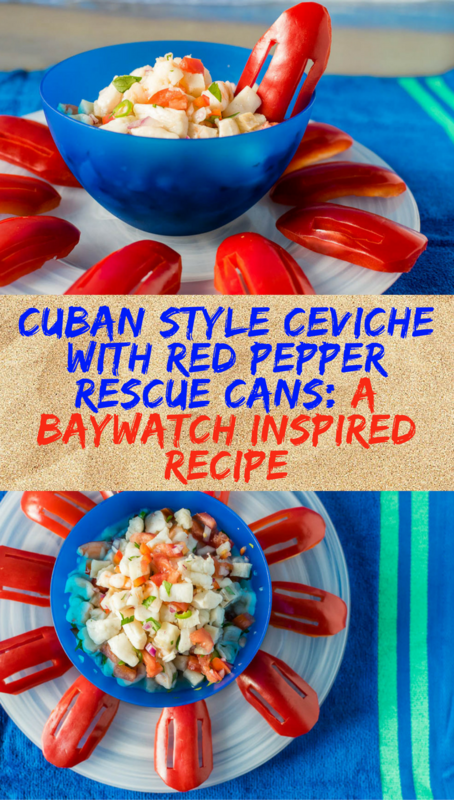 In addition to our tasty Cuban Style Ceviche recipe, we are giving away 4 pairs of screening tickets for a sneak preview of Baywatch and a Grand Prize Package with 4 screening tickets. The Grand Prize Winner will get a prize pack including a shirt, sunscreen, lip balm, beach ball, poster and 4 tickets to the screening. The screening will be on Monday, May 22 at 7 pm Harkins Tempe Marketplace. Winners should arrive at 6:30 in order to guarantee their seating. Winners will be selected on Friday, May 19th. Good luck! Fill a large bowl with water and ice, set aside. Boil shrimp for about 1 minute until almost cooked through. Drain the shrimp and put in ice bath. Allow shrimp to completely cool. Quarter the shrimp and put in a medium-sized nonreactive bowl (ceramic or glass). Add the scallops, white fish, lime and orange juices, red onion, peppers, and allspice. Stir the tomatoes and cilantro into the shrimp and scallop mixture. Allow it to sit at room temperature for about 30 minutes. Season to taste with salt to taste. Serve with red bell peppers cut to look like Rescue Cans.